NB: This post is from Grade Africa, an online store that supplies streetwear from leading brands such as Puma, Daily Paper, Fenty x Puma, Okmalumkoolkat's Mlazi Milano and so much more. 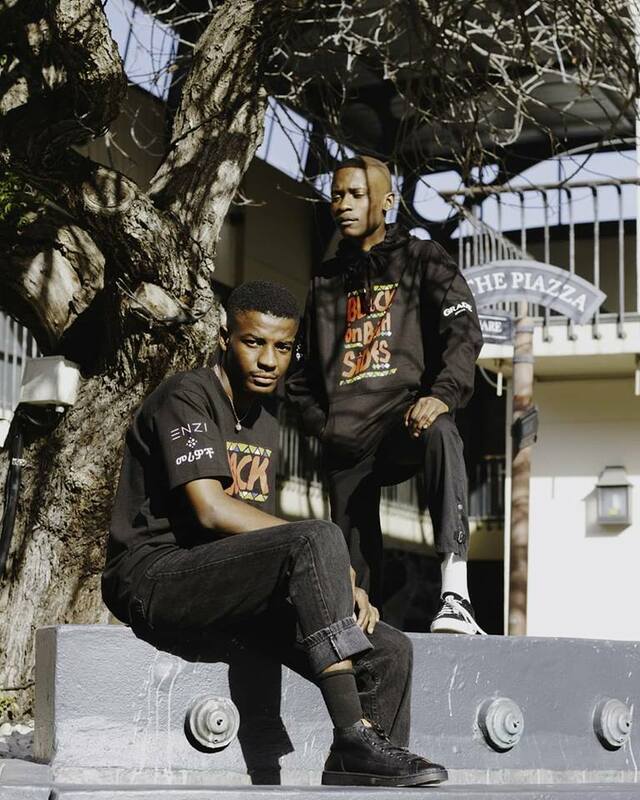 Grade is owned an operated by the Osman brothers who are based in Cape Town and are the organisers of the hip hop/streetwear event known as Sneaker Exchange (SXC) in collaboration with other sneaker enthusiasts. So you recently got your matric results and were accepted to study your preferred course at the university you applied to. There is a lot to be excited about. You have been wearing a school uniform for the past 12 years so you have never really had to worry about what outfit you needed to wear each day to look cool and fashionable. You may be asking yourself, how do university students dress and what you need to wear to stand out and make a good first impression? Don’t go and buy clothes from normal stores and the mall like everyone else, gradeafrica.com is here to give you multiple fashion wear options that will make you stand out without spending too much. How do university students dress? There is no uniform at South African universities, therefore unless there is a formal function you can dress however you want even if you are studying medicine in first year. You are allowed to dress in a way that best showcases your personality. The way you dress is a form of expression, your first impression to those who have never met you before. Most university students just wear comfortable sneakers, jeans and a t-shirt. Here at gradeafrica.com we stock quality and comfortable clothing and sneakers from leading brands in South Africa and abroad. Our fashionwear will make sure you stand out even in casual wear, because you will not be wearing what everyone else is wearing from the standard franchise stores that are common in South African malls. What to wear in Summer at South African universities? We have a wide range of branded vests, t-shirt, and floral shirts, browse our store to find an item that catches your eye. What to wear in winter at South African universities? We have a wide range of hoodies, jackets, jerseys and tracksuit sets from some cool streetwear labels that will make sure you are warm and comfortable whilst maintaining your swag. We stock sneakers from Puma, Fenty x Puma, Asics, New Balance and Sandalboyz flip flops. There are a lot of cool designs to choose from, browse our shoe section to see which pair matches your tastes. You will also need a cool backpack to carry your books and your laptop. We have some cool backpack to match your streetwear style. We hope this article has given you some nice options to come up with your new look. Be sure to come back to gradeafrica.com regularly to check the latest street fashion wear and to see the latest specials!